After a busy month I spared some time to sit and write a review for a product. 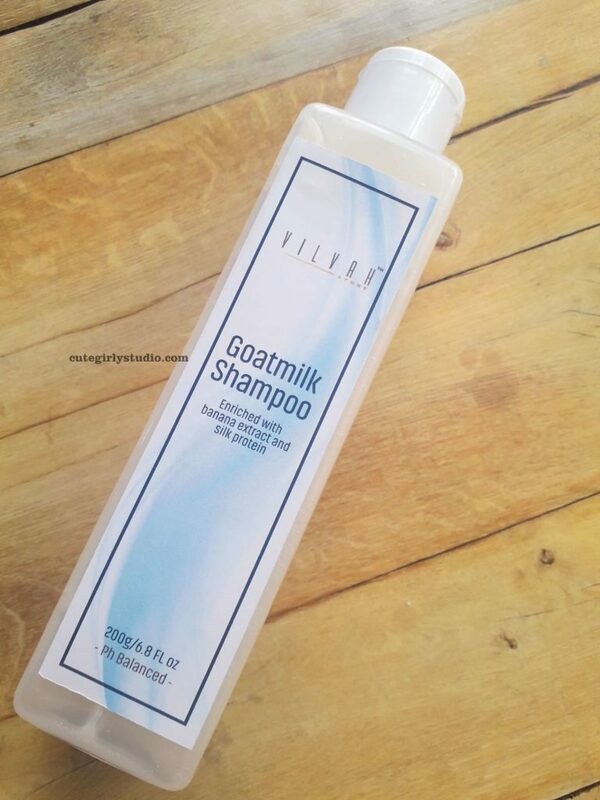 Today I will be reviewing Vilvah goat milk shampoo. I bought Vilvah’s hair care products on December and I’m using them for past 1 month and here is my review of their goat milk shampoo. Ingredient list taken from vilvah’s website. Vilvah goat milk shampoo comes in a transparent plastic flip flop bottle. The packaging is simple and convenient to use. Overall I liked the packaging. Vilvah goat milk shampoo is creamy white in colour and has rich texture. It has strong floral aroma which might bother sensitive nose. I personally didn’t like the strong aroma, it would have been great if the aroma is mild. I take required amount of shampoo in a bowl and dilute it with some water and then apply it all over my scalp and rinse it off. 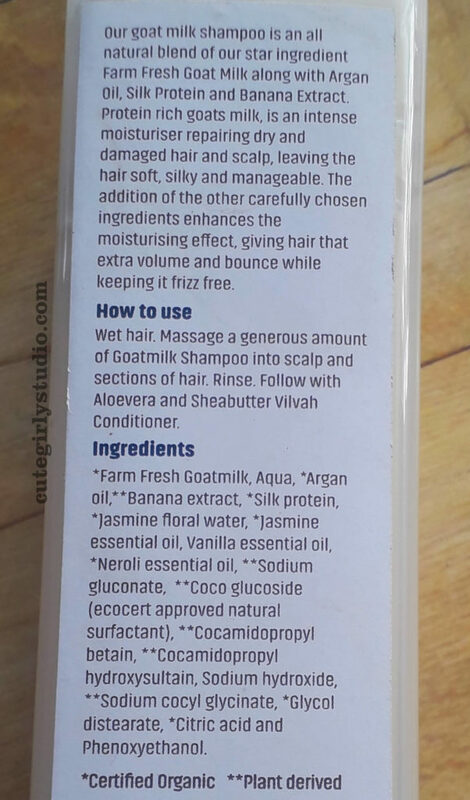 The goat milk shampoo removes dirt and oil effectively. My scalp feels clean once I rinse my hair. Post drying, my hair felt dry and it worsens frizz. I didn’t expect this from a shampoo that is formulated for dry and frizzy hair. After four uses, my scalp felt itchy. I have used this shampoo on both oiled and non oiled hair, in both the cases my hair felt rough and frizzy. I experienced hair fall at alarming rate and I stopped using the shampoo a week back. Overall I’m not satisfied with the shampoo. Will I recommend this shampoo? Will I repurchase the shampoo? That’s all for today post guys.